I've talked a lot about misguided "updates" to a number of classic monsters, but in terms of sheer pointlessness, this one takes the cake. It then proceeds to replace the cake with a pie even though nobody asked for a pie. 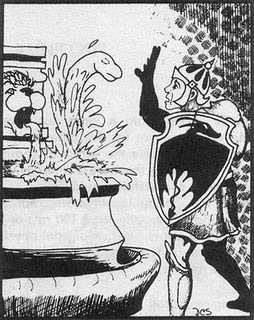 The Water Weird was another monster I always considered rather iconic in the D&D world, not really one of my personal favorites, but a solid enough concept; a form of small, predatory water elemental able to shift from a harmless-looking pool of liquid to a living, liquid serpent, dragging victims underwater to be drowned and feeding on their life essence. Very simple, but neat enough. 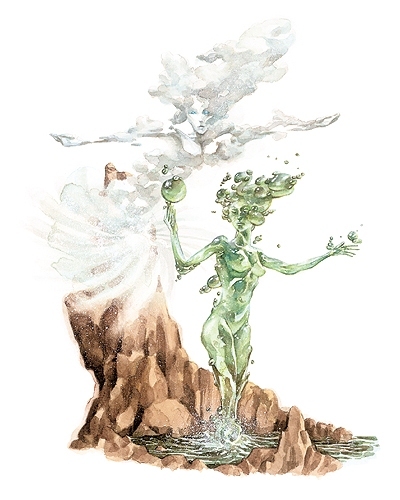 It stood to reason that perhaps not all Weirds were of the water variety, and later publications introduced such variants as the Earth Weird and Bone Weird, essentially bodiless entities who simply used different types of matter to take corporeal form. These Weirds enjoyed a couple good decades of snaking up from various puddles and piles to bite adventurers in the face, until, inexplicably, they were republished under the apparent presumption that their only glaring flaw was a lack of breasts. 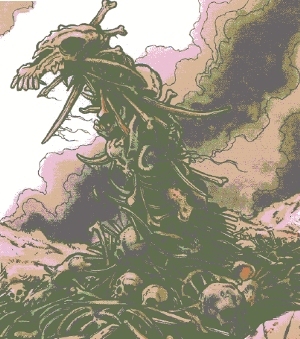 The third edition, "upgraded" weirds, including predictable fire and air flavors, are virtually the same exact monsters except that "snakes made of stuff" has been changed to "naked women made of stuff" for no conceivable reason I can gather besides, hey, naked women! Don't get me wrong, I can definitely appreciate naked women in a variety of contexts, but who's dumb idea was a change this ridiculously arbitrary? 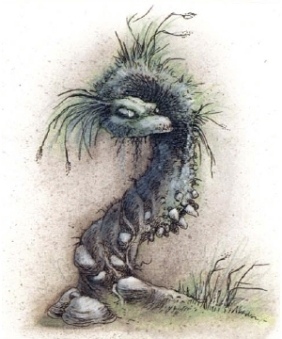 Who exactly looked at a snake-shaped water monster and thought "you know what? This would be great if it were just a chick, instead." If they thought the snakes were too boring, there's a million more interesting things they could have chosen over just making them people. Why not whole, squirming masses of liquid serpents? Or multi-limbed cephalopods? If they had to go more human, why not just creepy, elongated human arms formed from raw elements? Anything at all would have at least been weirder than just a bunch of...chicks.